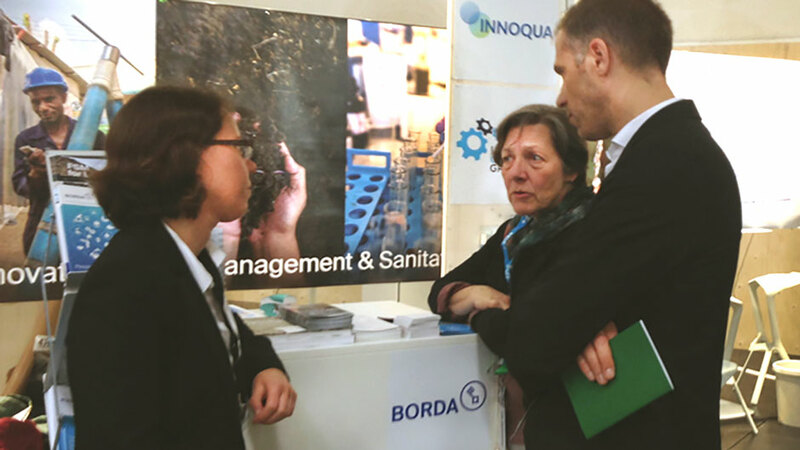 BORDA had a successful week at IFAT, the world’s leading Trade Fair for Water, Sewage, Waste and Raw Materials Management. 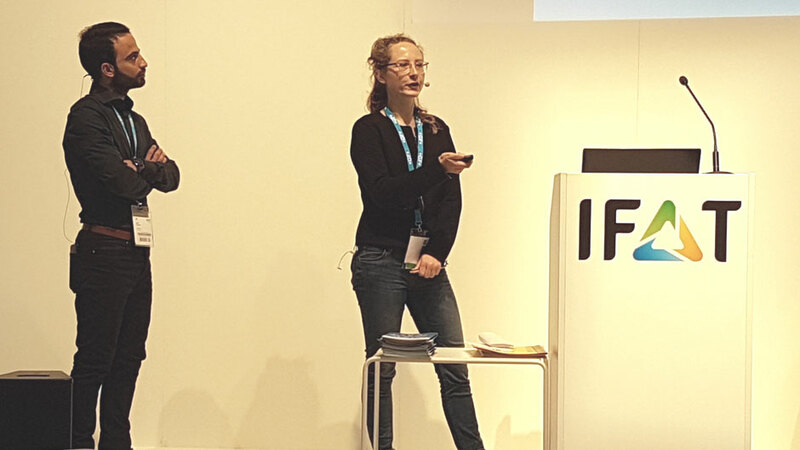 On 14-18 May 2018, more than 141,000 experts and 3,300 exhibitors from 160+ countries came to Munich—and had the opportunity to meet BORDA at our joint booth with INNOQUA and Engineers Without Borders at at IFAT’s “future hub” experience.science.future. Numerous delegates from all over the world—experts, politicians, both industry and local authorities representatives, and scientists—shared experiences and know-how. BORDA together with the German WASH Forum and DWA (German Association for Water, Wastewater and Waste) convened the session “Sustainable Water and Sanitation Services for All” to discuss the question of which new partnerships, innovative solutions and capacities are needed to achieve the SDGs. BORDA also organised and conducted the panel discussion “Reaching the Unserved”, where BORDA’s Executive Director Stefan Reuter spoke on strengthening local energy suppliers and the importance of standardising regulations and norms. At the very well-attended “Waste – water – women” conference on gender equality, Maren Heuvels, responsible for communication and policy development at BORDA, talked about challenges women face and stressed the importance of gender diversity in the sanitation sector. The conference was jointly held by the DWA and the German Association of Local Utilities (VKU). 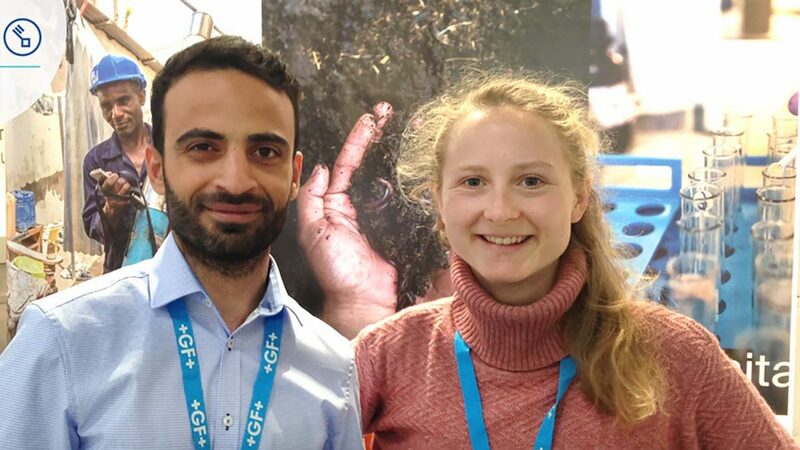 Finally, BORDA interns Milena and Mo’ath held the session “Sanitation for all by 2030? Challenges and solutions in managing urban waters for the cities of tomorrow” and presented examples of BORDA’s work to students.